Snowflakes is perhaps the most beautiful slot from NextGen yet. The background looks beautiful and the different flakes of snow in the reels are wonderfully crafted as well. But the real star of this slot game is the two randomly triggered wild features that are a part of the base game. Using the slots Ltd Bonus will earn higher returns. NextGen is one of the biggest players. It started way back in 1999 and is based out of Australia. It is a part of the NYX group. This slot game has 5 reels and 25 paylines. The game can be played for as low as 30p and also for as high as 600£ per spin. Do remember to use the slots Ltd bonus. The slot has very high RTP rate of 96.47% which means that you can play this slot carefree without worrying about your wallet much. The main symbols of this slot are all flakes of snow with the 8 pointed one being the one with the highest value. Landing 5 of it on the reels will earn you an instant cash bonus of 400x your stake. The wild too is responsible for awarding cash bonuses in this game. You get an instant cash bonus of 500x your stake per line for landing 5 of them on the reels. But that's not the only thing the wilds do, they also act as a replacement for all the other symbols excluding the scatter. Icy Wilds - A randomly triggered feature where up to 5 symbols may turn wild. Wild Winds - Similar to the above feature except for the fact that the 5 wilds would be added to the already existing symbols. Free spins - This feature is triggered when you land 3 or more of the scatters on the reels. The feature can be triggered again by landing more scatters during free spins which means that you may end up playing as much as 30 free spins. Use the slots Ltd bonus to earn more. Snowflakes is a slot that is quite simple to understand and play. 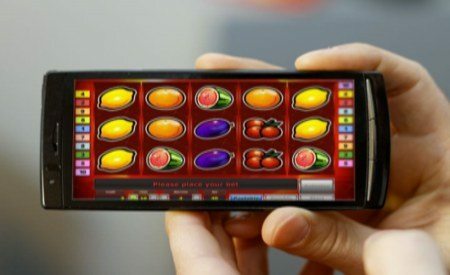 It doesn't have any over the top features except for 2 wonderful base game bonuses and a free spins feature. Yet it manages to remain one of the most entertaining slots from NextGen of late. Play this slot using the slots Ltd bonus.